Secret government technology has been stolen from his laboratory, and a foreign spy is attempting to perfect it via a grisly procedure . . . using gypsies as test subjects. 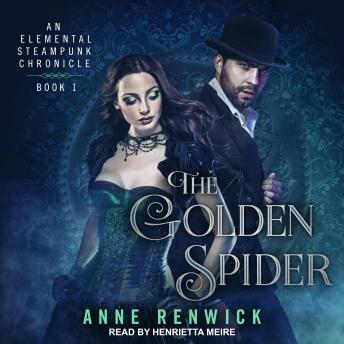 The last thing he needs is the distraction of a beautiful-and brilliant-new student, even if her spider could heal a deteriorating personal injury. Lord Thornton has no option but to bring her into his laboratory as well as the investigation where they must fight their growing, yet forbidden, attraction. Bodies accumulate and fragile bonds are tested as they race across London, trying to catch the spy before it's too late.